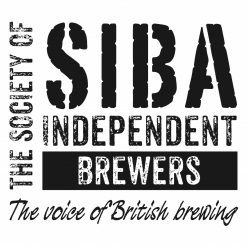 This is the second year that our Business Awards have been scheduled to coincide with BeerX, SIBA’s annual celebration of all that is Great about British beer and the British independent brewing industry. BeerX 2014 is at iceSheffield – the Yorkshire city’s prestigious local, national and international skating and events venue – from 12-15 March. The Awards are due to be presented at 3.15pm on Thursday 13 March 2014 , this year in the spacious trade exhibition arena, and are sure to be one of the highlights of a fabulous event which, through its focus on local beer and local craft breweries, will seek to maintain the rising profile of our industry in the political sphere and in the national consciousness. SIBA’s Business Awards draw attention to the very best operational standards our members have to offer: business ethics; commitment to customers and community; marketing and communication skills; business development strategy; the effort and artistry put into branding design and company image; and business achievements through planning, investment and sheer bloody hard work! This time around, isn’t it your turn to stand up and be proud of your business achievements?